To use... pre-dry hair with the ghd air professional performance hairdryer until it's 80% dry. Working with medium sections, place the brush into the root area and direct the heat from your dryer at the barrel. 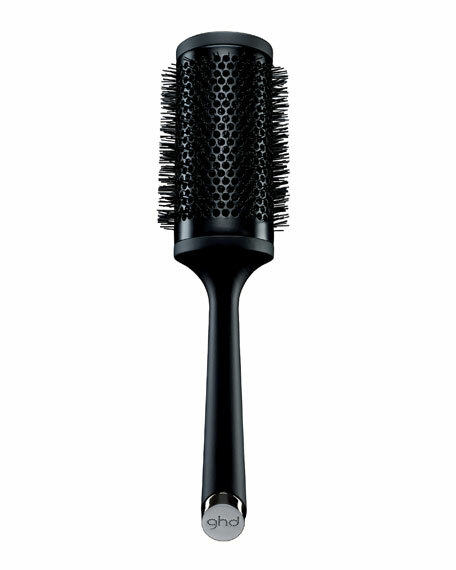 Keep the tension as you move the brush through your hair, directing heat at the barrel as you go. British-owned ghd (an acronym for good hair day) inspired a cult-like following when it introduced a revolutionary ceramic iron that straightened hair with a glass-like shine. Today, the legendary ghd hair straightener line includes multiple styling tools and brushes, as well as a collection of luxury hair care products.